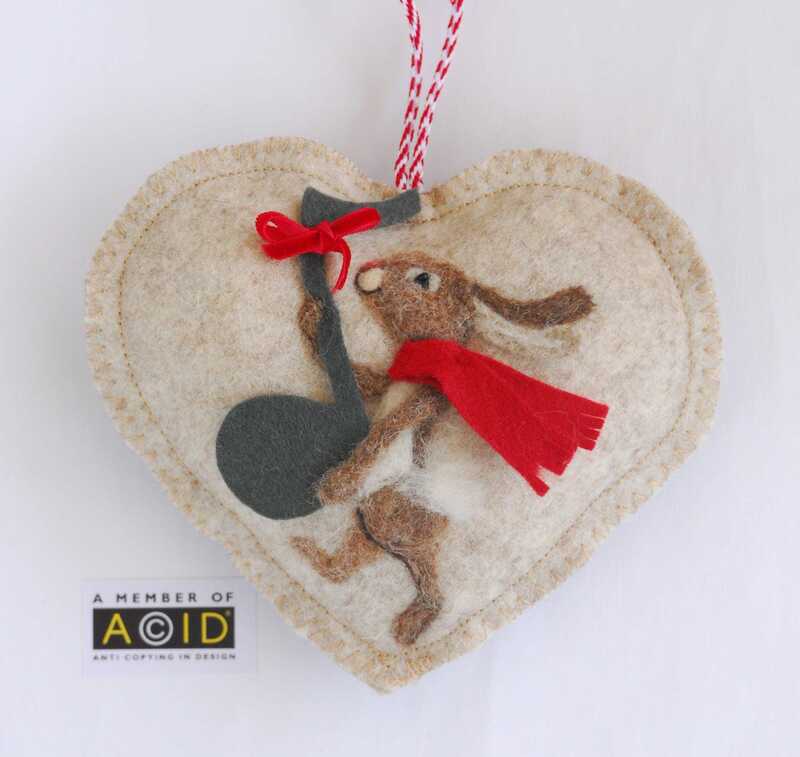 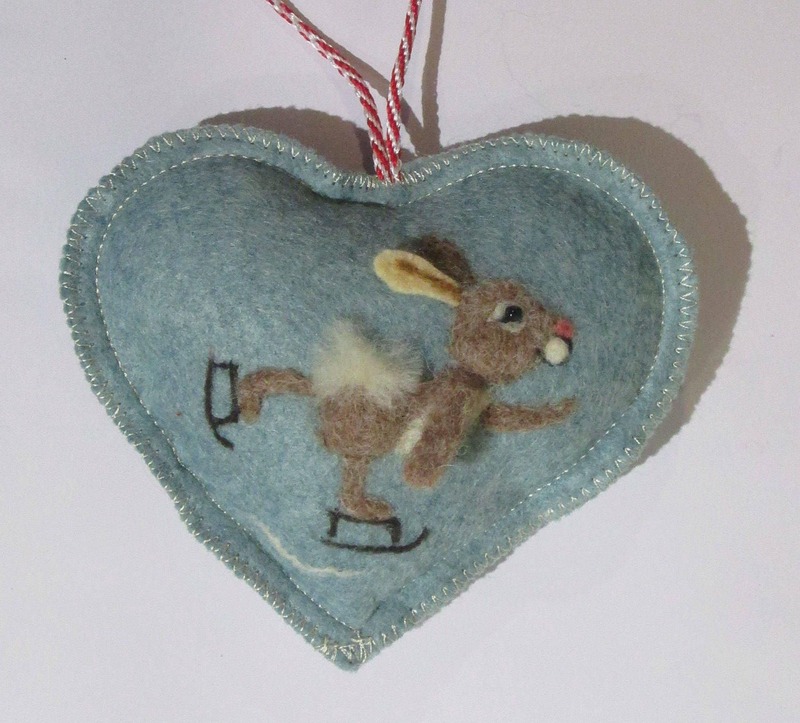 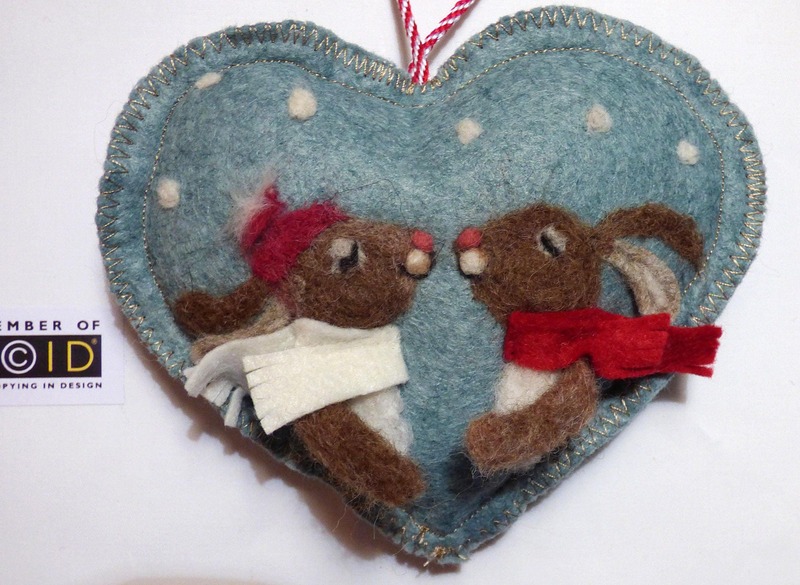 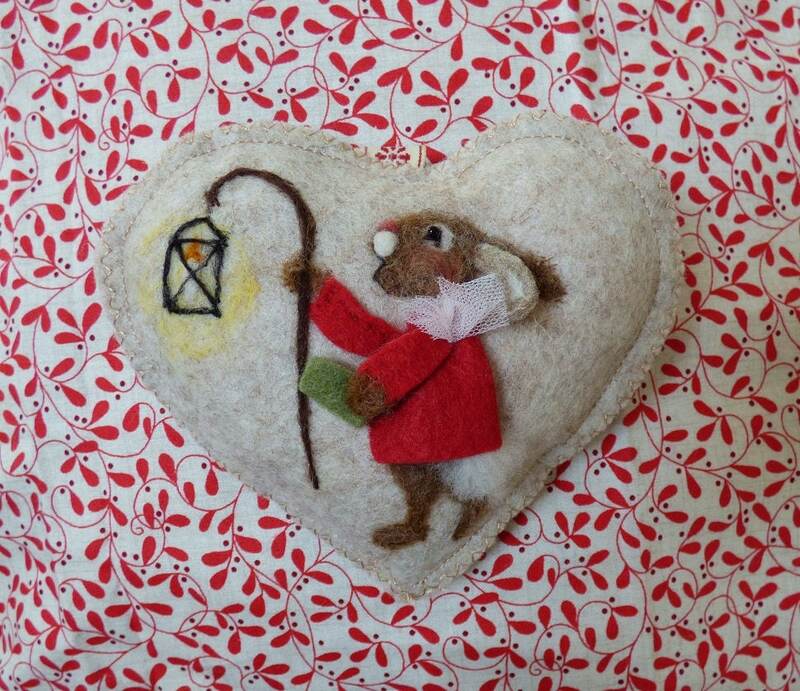 This felt heart has a needle felted rabbit carol singing with his lantern to light his way. 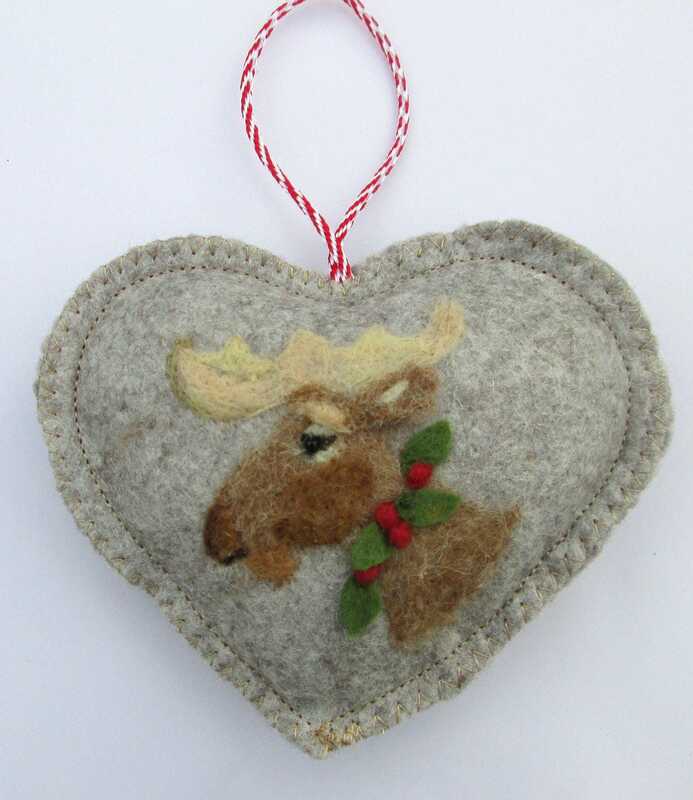 The heart is individually made and each one is unique. 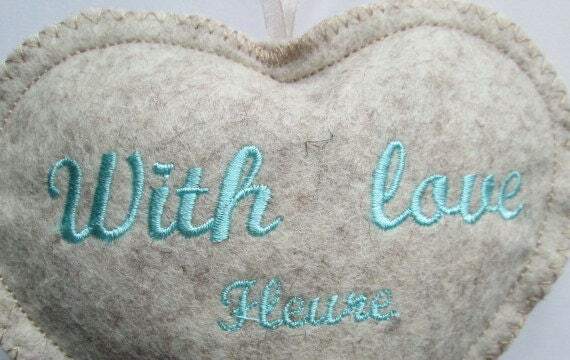 You can choose to have a pocket on the back of the heart with a small notlet for messages and good wishes - 0r - choose to have a name , date, message of choice embroidered on the back. 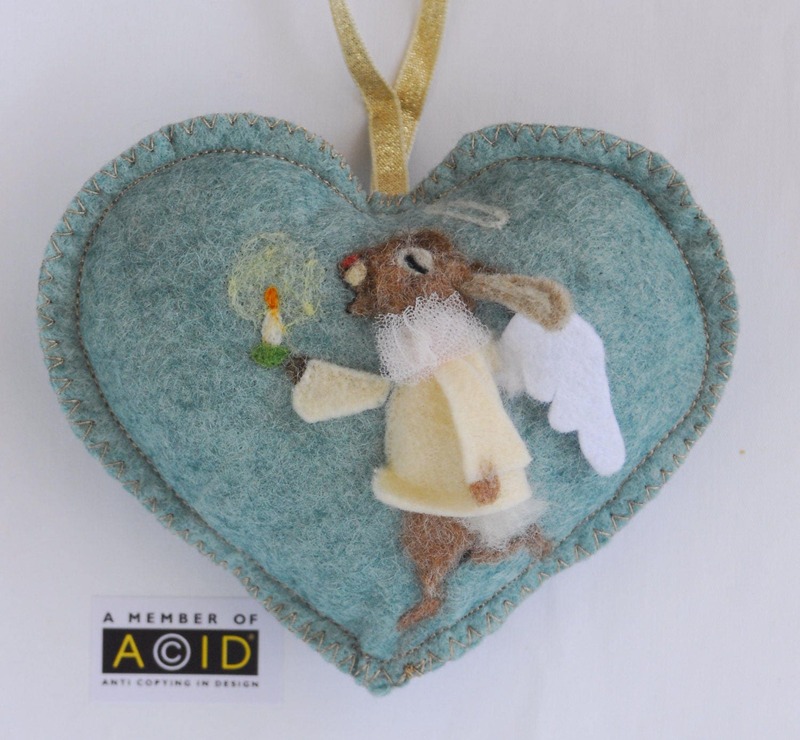 The design is needle felted with Somerset and Scottish wool and the rabbit is in Full Relief -The ear and robe and arm are 3 dimensional making the heart attractive from many angles.